Mother Nature has provided us the best playgrounds for those who love adventures. There are mountains to trek. Granite and limestone cliffs to climb. Ponds to swim in. Reefs to dive in. Caves to explore. But what about sand? Laying down on a sandy beach and basking lazily in the sun is hardly an adventure. Well, not in the vast La Paz Sand Dunes in Laoag, Ilocos Norte. The impressive dunes create a perfect platform for some adrenaline-pumping activities. We knew we had a busy day ahead, made up of long rides and lots of activities. So, we woke up before sunrise, checked out of the hotel, and rode an air-conditioned bus to Laoag. In less than two hours, we arrived at Laoag, had a hot tapsilog breakfast, and boarded a jeepney bound to Paoay. 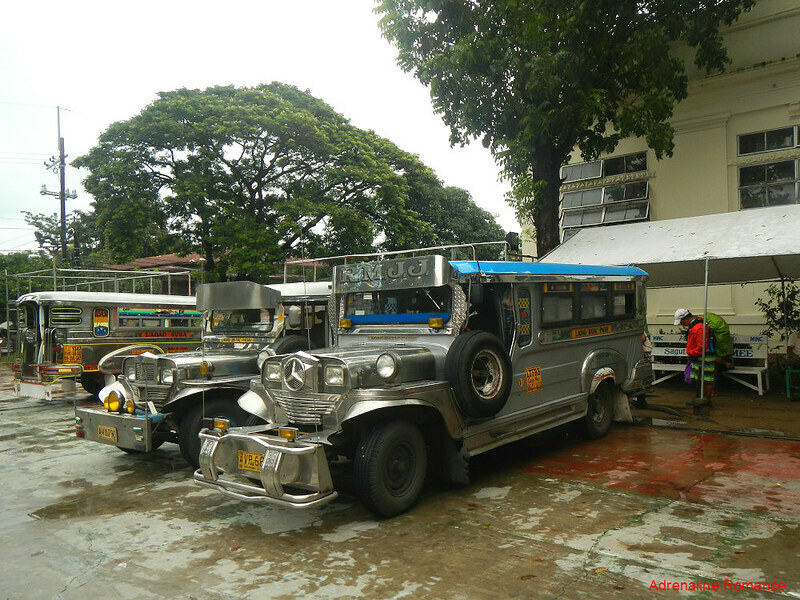 Speaking of jeepneys, although bereft of gaudy decorations, traditional chrome jeepneys like these are still common in Luzon. Again, we felt nostalgic as the jeepney lumbered along, the same nostalgia we felt when we set foot in Vigan. At around 9 AM, we disembarked at the Saint Augustine Church or Paoay Church. It was the most gigantic Spanish-era church we’ve ever seen in our whole lives! The church, which was built in 1704 and finished in 1710, is among the four remaining churches in the country that is characterized by a Baroque architecture. The walls are made of large coral stones and held together by mortar made of sugarcane juice, mango leaves, leather, and rice straw. 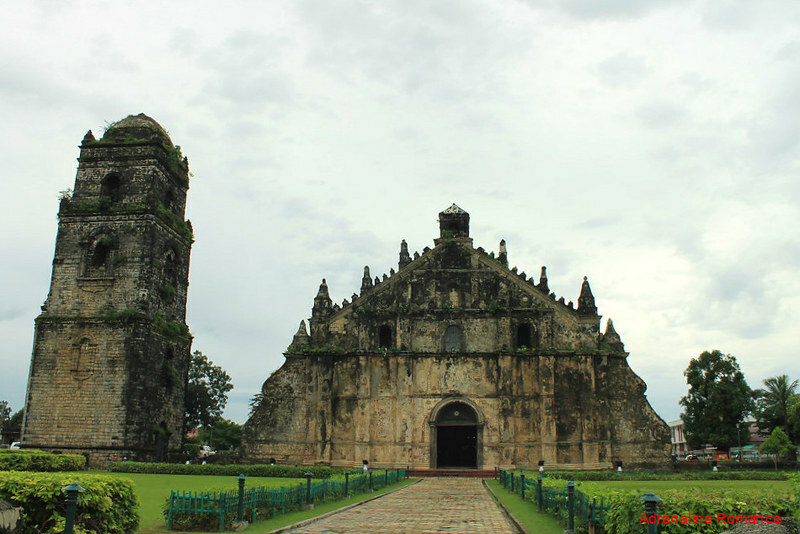 Because of the careful preservation and the distinctive architecture of the Paoay Church, it was declared a National Cultural Treasure by the government in 1973. In 1993, it was declared a UNESCO World Heritage Site. 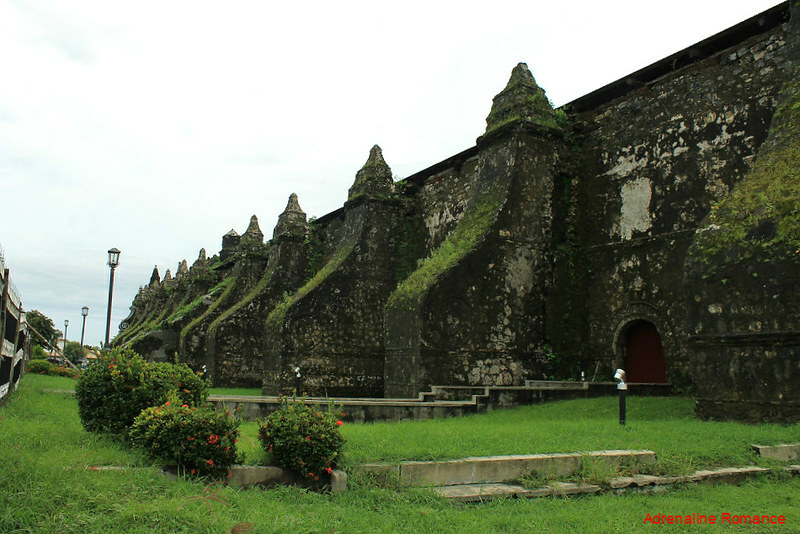 The most distinctive feature of the Paoay Church is not its size but the 24 gigantic buttresses that adorn the sides and back of the main building. These thick buttresses act as braces to protect the church from disintegrating in case there’s an earthquake. There are also two stair-like buttresses at the sides of the church; they allow access to the roof. 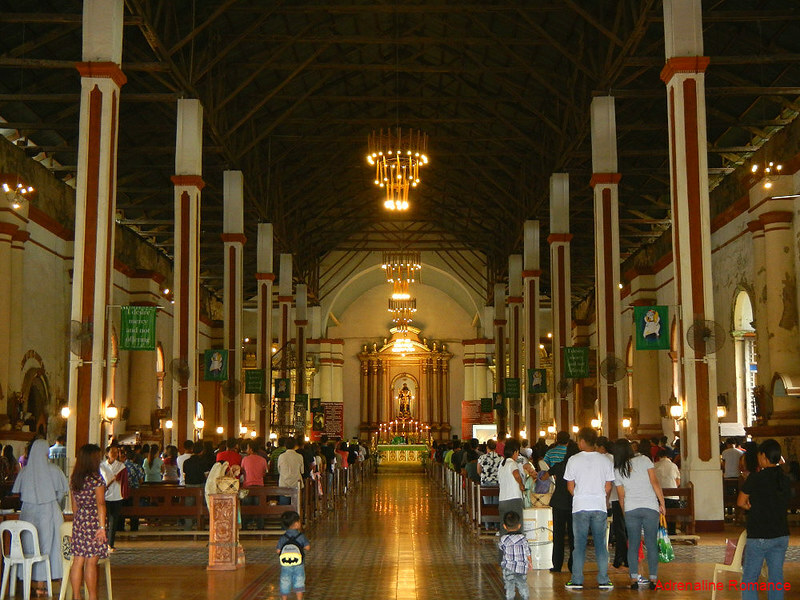 Sans the modern accouterments, the interior of Paoay Church remains a grandiose testament of a bygone but important era. In fact, the bema (the raised portion that contains the altar, sacramental table, and the clergy seats) is not raised. In more modern churches, the bema is elevated so churchgoers can clearly see the priest and vice versa. 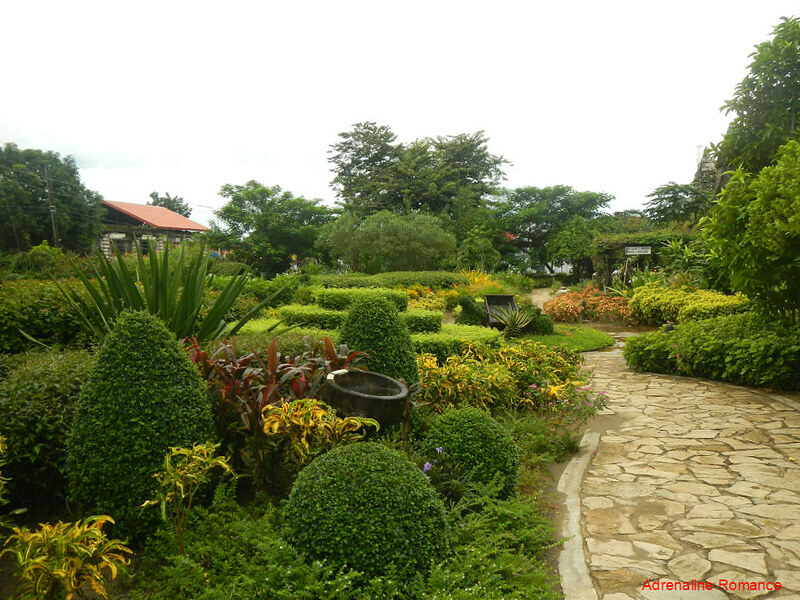 Beside the church is a beautifully manicured Eden called the Garden of San Agustine. It’s a great place for peace and quiet, pictorials, and afternoon sojourns. A huge bell tower stands some distance away from the Paoay Church; that is quite a unique placement considering that in the Philippines, bell towers are usually connected to the main church building. The separation of the structures, we learned, was a damage prevention method. In case the tower topples down after an earthquake, the debris won’t damage the main church. 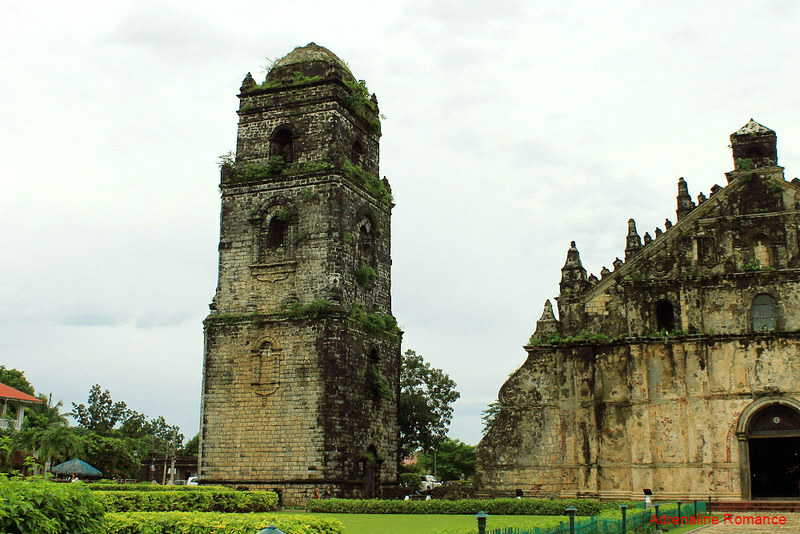 The Paoay Church bell tower was used as an observation post by the Katipuneros during the Philippine Revolution and, much later, by guerrillas during World War 2. 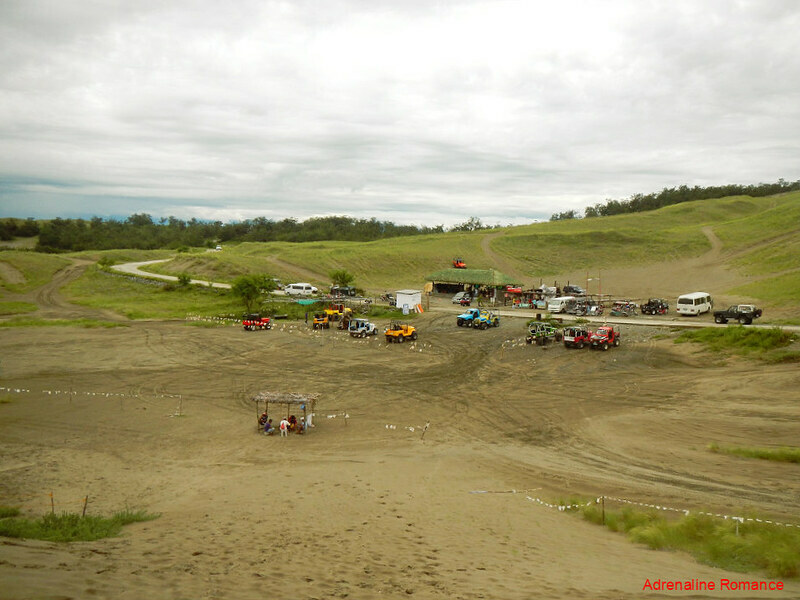 We were supposed to go to the Paoay sand dunes to have an adventure, but we later learned that the adventures were halted due to some operators not having a permit. 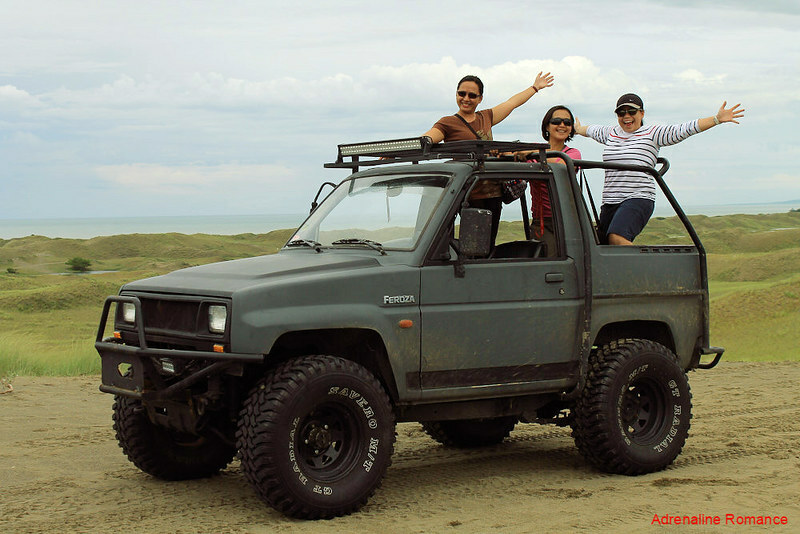 Amused at our own minor mishap, we decided to go back to Laoag to visit the La Paz Sand Dunes. A little over an hour, we were at the sand dunes, taking photos and getting more and more excited on the adventure that lay just 15 minutes ahead of us. What is the adventure? You might ask. 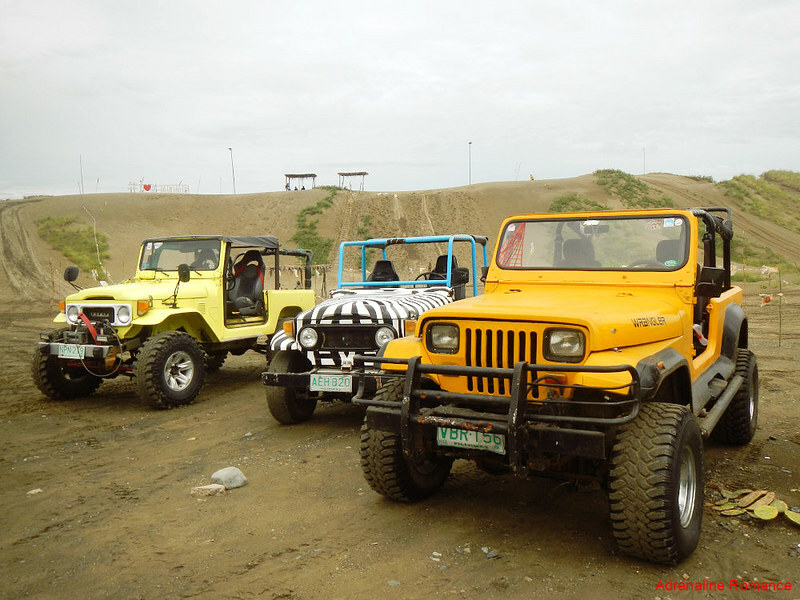 Well, we were going to ride around the sand dunes riding these awesome and rugged 4X4s! Just look at these handsome monsters! We chose one with an open top so we’ll have an unobstructed view of the surroundings. 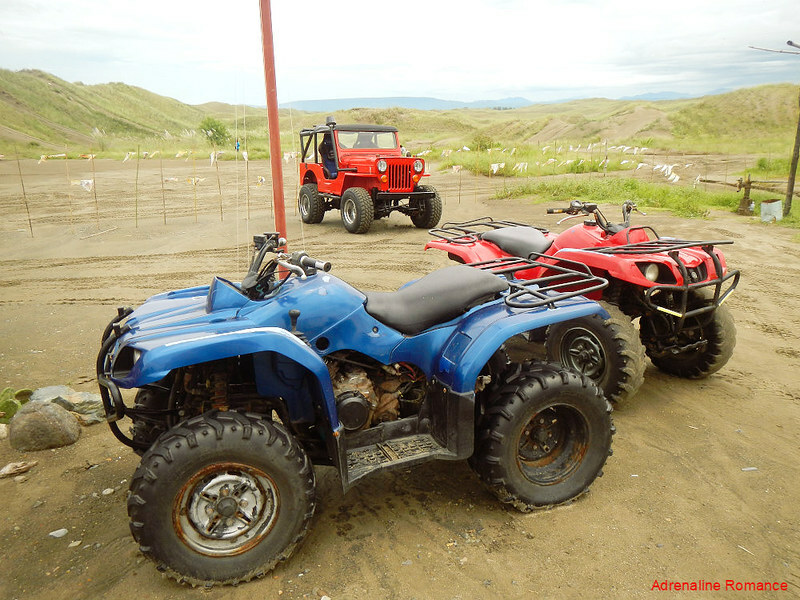 Aside from 4X4s, guests can tour around the sand dunes with these powerful and compact ATVs. On a personal note, I wish I had one of these so I can easily wiggle out of the massive traffic in Cebu City while getting all the drivers’ and commuters’ attention at my unique vehicle. Bwahahahaha! After securing ourselves to the back of a dark gray 4X4 that has been assigned to us, it was time to have a wild ride. 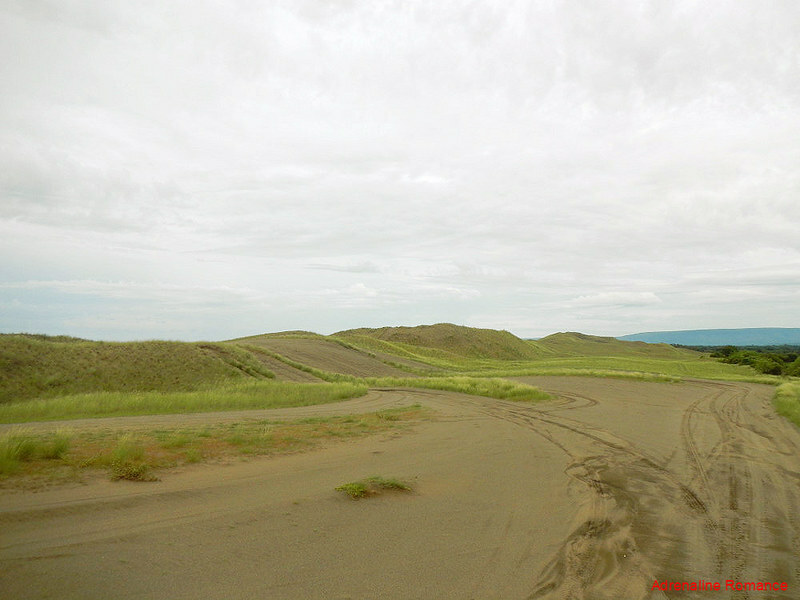 At first, we were taken to a sandy hill opposite of the main sand dunes. We wondered why we were taken here. Check out the healthy shrubs and trees. Quite amazing, isn’t it, considering that this hill is made up of sand? Well, it turned out there is a hill here that offers an encompassing view of the city of Laoag. Laoag is the industrial, commercial, and political hub of the province of Ilocos Norte. 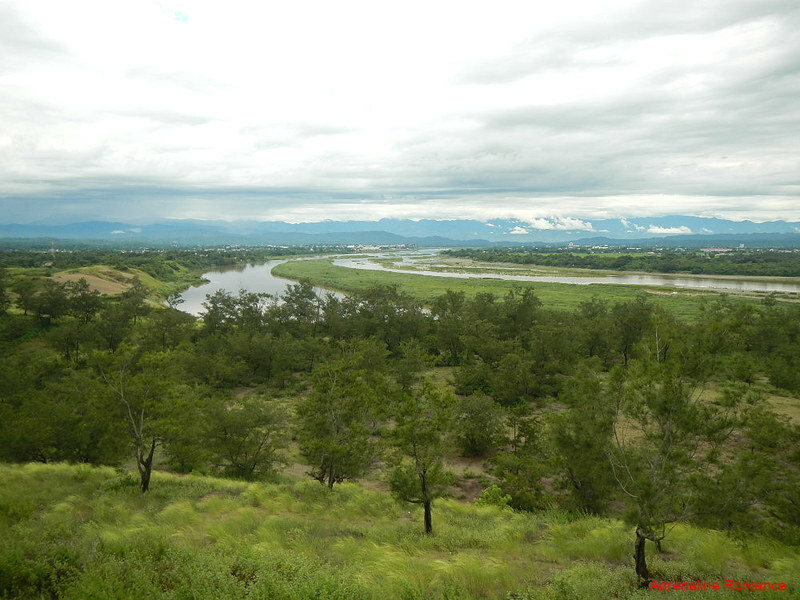 It lies several kilometers from the foothills of the Cordillera Central mountain range as seen in the photo below. The shallow but wide Laoag River provides the city with plenty of fresh water for residential, commercial, industrial, and agricultural use. Having our fill of photos, we drove towards the main sea of dunes. Along the way, we encountered cogon-like grasses that grow on the sand. How curious! Beyond the sandy terrain is an expansive swath of fertile soil as evidenced by the large number of farms that dot the area. The 4X4 ride itself was absolutely exciting! We laughed and screamed our throats off, and we had fun all the way. At times, we rode on rough, wavy terrain that seemed to rattle off our internal organs and mix up the breakfast we had real good! 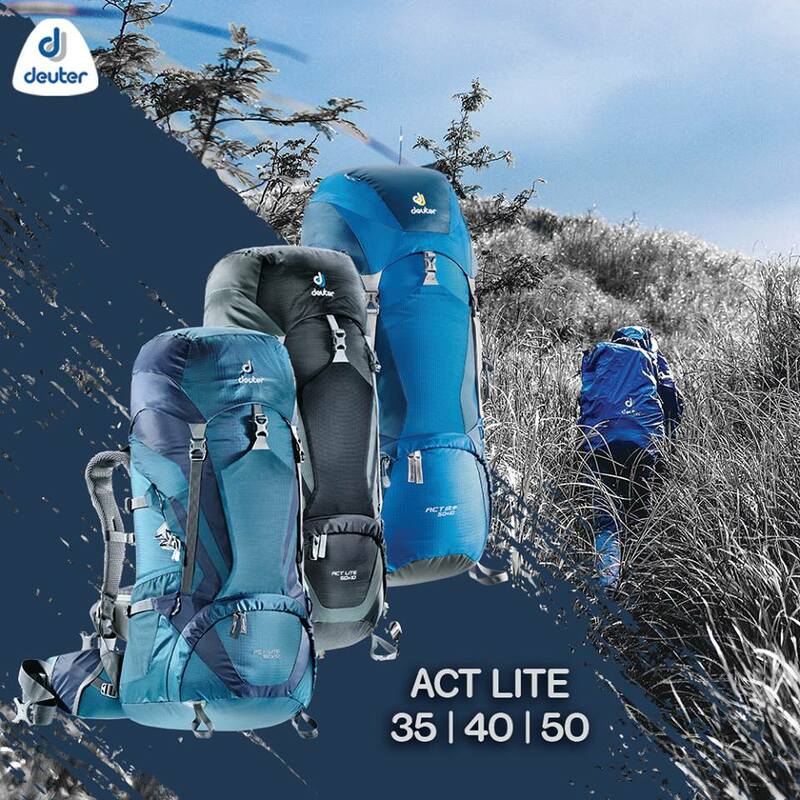 But there were also swatches of plain, firm terrain that we welcomed so we can catch our breath and rest our hoarse throats. We took a break on an overlooking hill so we can take photos and enjoy the breathtaking views. Let’s take a look at our 4X4! That is one cool, rugged, manly machine, isn’t it? If we have the money to buy our own car, it would have to be something like this! The Feroza we rode on looks as if it is heavily modified to handle rough, sandy terrain. On the other hand, some of the 4X4s were old Toyota Land Cruisers and Cimmarons, which are originally and purposely designed to handle such terrain. The La Paz Sand Dunes is actually an overly large beach that overlooks the South China Sea. 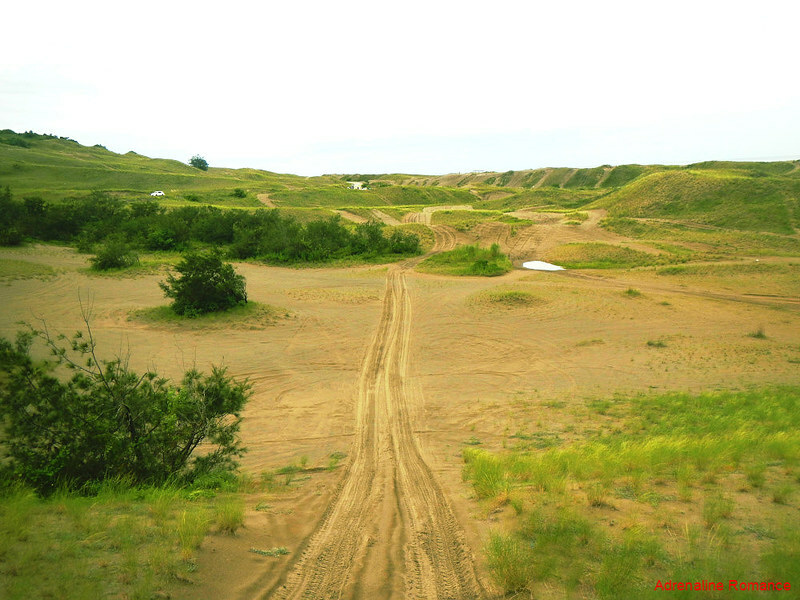 It has an estimated area of 85 square kilometers, composed of sand dunes that are around 10 to 30 meters in height. Aside from being a haven of rough-terrain-riding enthusiasts, the unique geography makes it an ideal venue for shooting desert or beach scenes in national and foreign films. 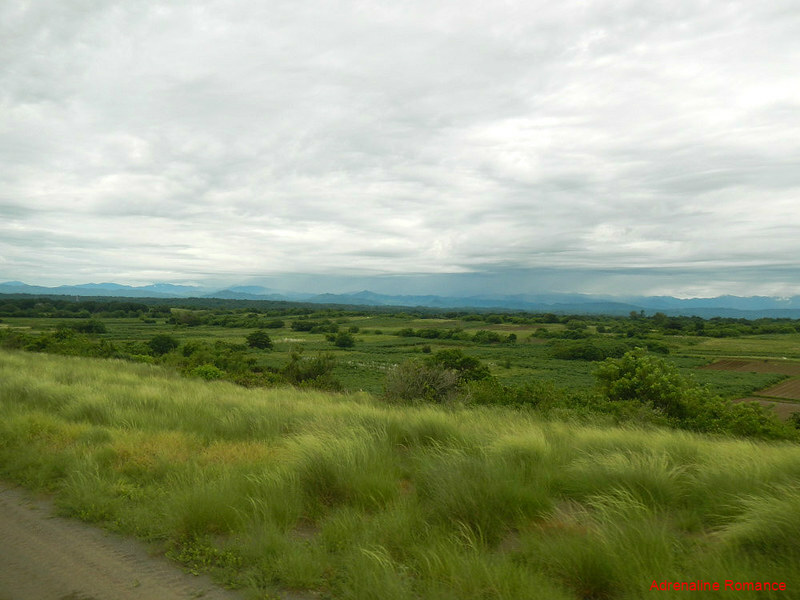 Just like the Bohol Chocolate Hills, large sheets of cogon grass carpet the dunes during rainy season. The sandy layer becomes more apparent, of course, during dry, summer season. Small marshes and ponds dot the shore-ward portion of the sand dunes. At times, carabaos and cows graze the area and take a dip in these small bodies of water. 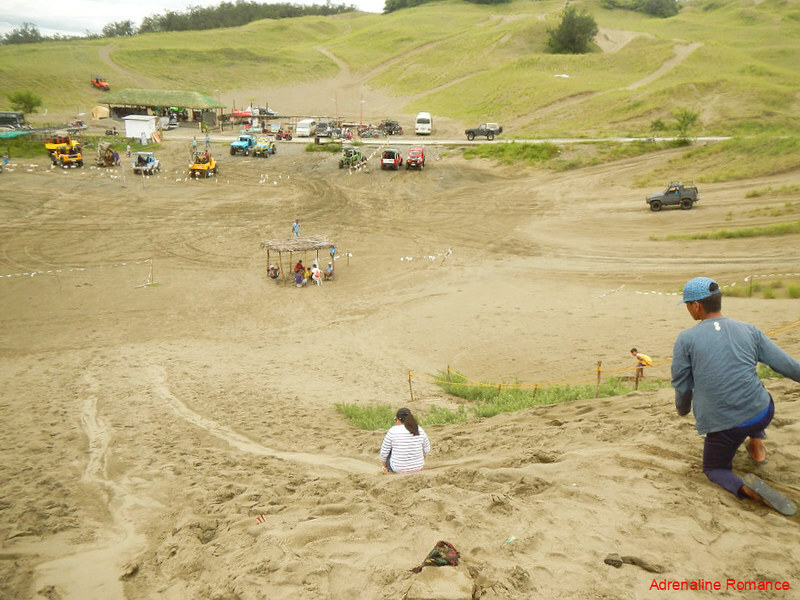 The La Paz Sand Dunes is actually just a large part of the Ilocos Norte Sand Dunes (INSD). The entire area is another natural pride of our country that we need to protect; the INSD is considered a National Geological Monument by the National Committee on Geological Sciences. A top-down Toyota Land Cruiser filled with screaming girls skirted the edge of a dune as it prepared to climb the hill that we were on. 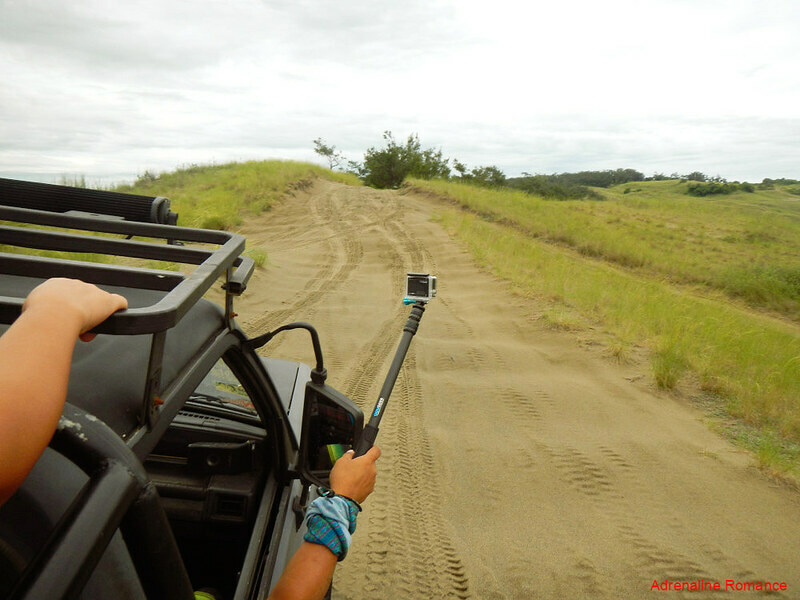 Like any other sand dunes around the world, the La Paz sand dunes are created through the erosive action of wind as well as moisture from the sea and the nearby Laoag River. Due to the changing nature of these erosive elements, the dunes of La Paz, and the entire INSD for that matter, constantly change. The best parts of the ride are the downhill rushes. Our 4X4 slows down at the ridge of a downhill track. Then suddenly, the driver accelerates as he drives down the slope. We could feel our tummies rising up to meet our lungs! We would definitely love to do this again and again and again! After an hour or so, our 4X4 ride was over. For us, it was just too soon. We want more! Huhuhuhu! 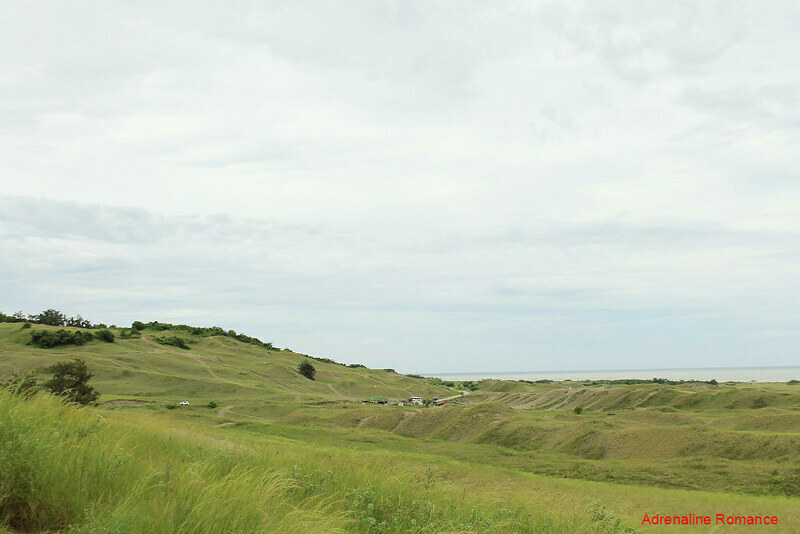 The trip ended on top of a nearby dune overlooking the main road, the registration center, and the parking area. Even though the ride was over, there was still one more avenue of fun! We can’t exactly tell you how much fun this was by just text and photos alone. Fortunately, Sweetie took a video of us enjoying the ride. We didn’t add music so you can hear our screams and guffaws. 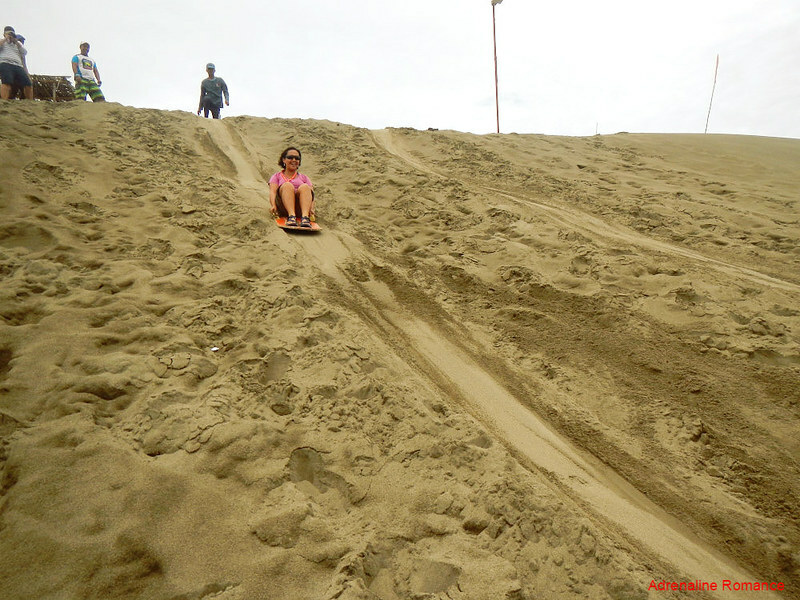 The steep slope of the dune makes it a perfect place for sandboarding! 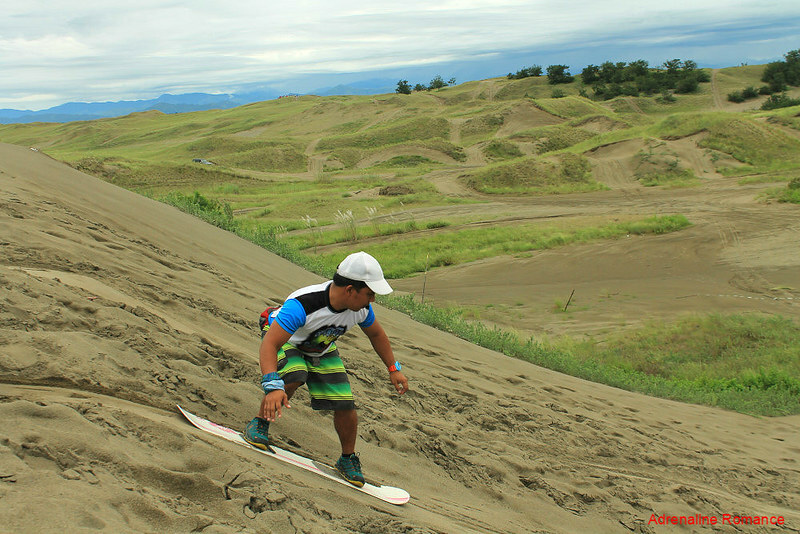 As the name implies, the activity involves riding down a sand dune with a wooden or plastic board. Sandboarding is a popular boardsport in Australia, Egypt, South Africa, and other places where there are large desert areas and beaches. There are various ways to ride a sandboard. You can do it sitting down as what Sweetie did. Or you can embrace something more challenging by riding the slope standing up like a pro surfer! Go, Sir Halourd! Well, you gotta fall and eat sand at one time or another! But don’t worry. Sandboarding here is unlimited, and you can go up and down the dune until you have your sandboarding technique perfected. 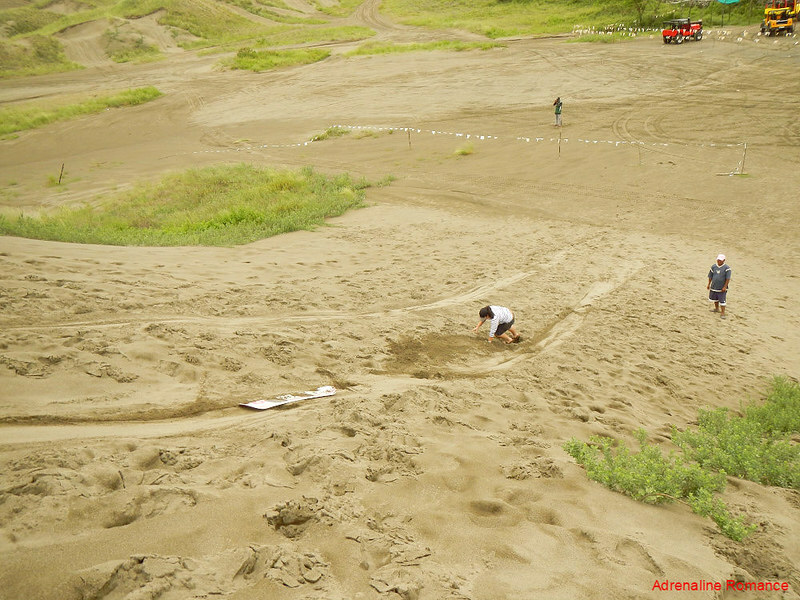 Check out this video of our sandboarding triumphs…and failures! Hehehe! Vast stretches of sand? Hah! 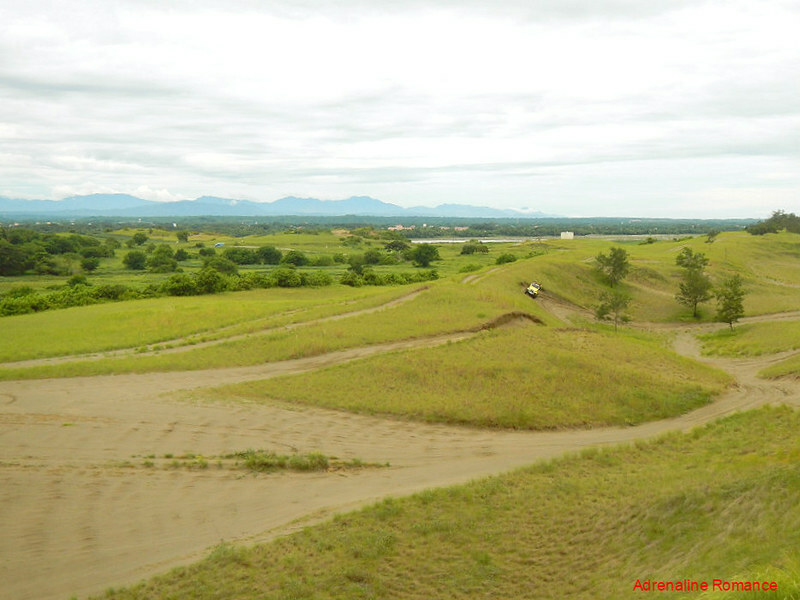 In Laoag, they have just become immense, natural playgrounds for people who need a dose of speed and adrenaline. Visit the La Paz Sand Dunes now! 1. 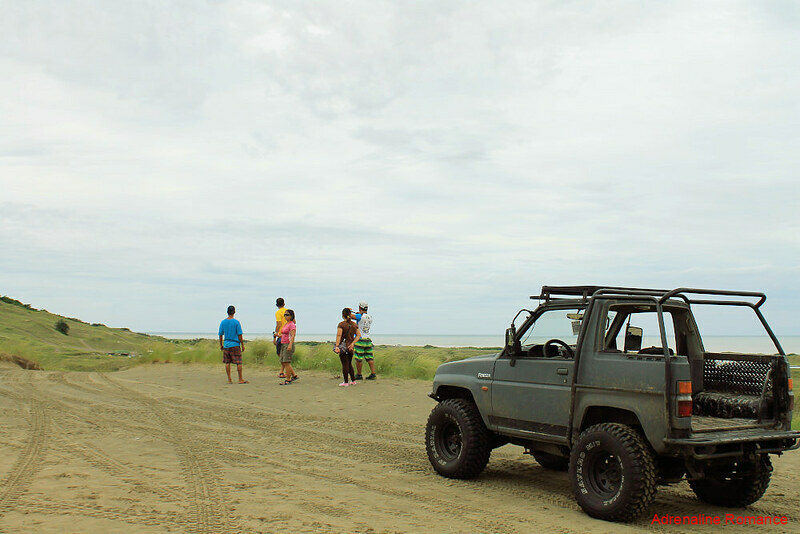 To save time and prevent the hassle of looking/waiting for a tricycle back to the city, negotiate with a tricycle driver to take you from Laoag to La Paz Sand Dunes and back. That means, he will wait for you. 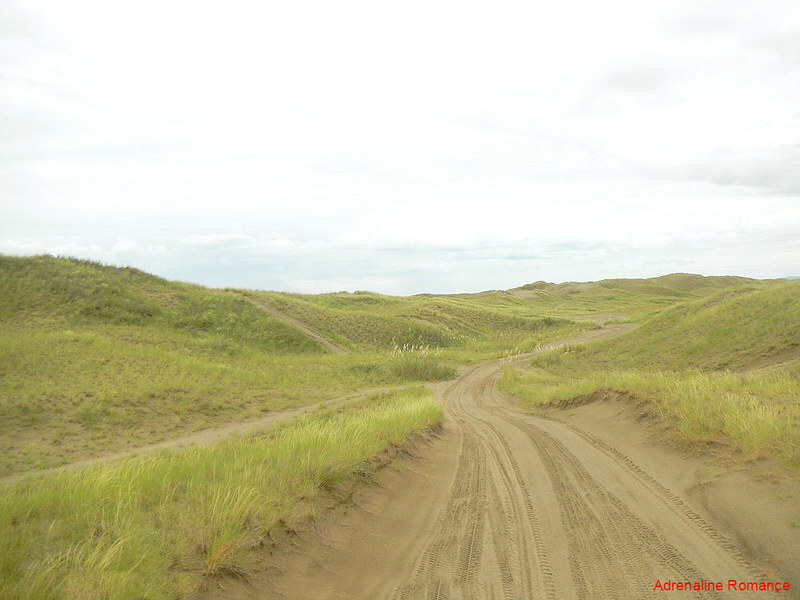 The La Paz Sand Dunes is located far from the highway, and going back to Laoag City can be difficult. There is no fixed rate, but a good benchmark would be P500 per tricycle. 2. You will be covered with dust and sand during your adventure in La Paz Sand Dunes. So be sure to bring a fresh change of clothes. 3. Be sure to hold on tight during the ride, especially if you select or assigned to an open-top vehicle. The 4X4s do not have seat belts, harnesses, crash frames, or safety features of any kind. They also do not issue helmets, pads, and other protective gear. If in doubt of your safety, choose a closed-top vehicle. 4. We recommend you visit La Paz Sand Dunes late in the afternoon. We heard that the sunset there is totally magical! 6. Observe the Leave No Trace principle. Do not litter. 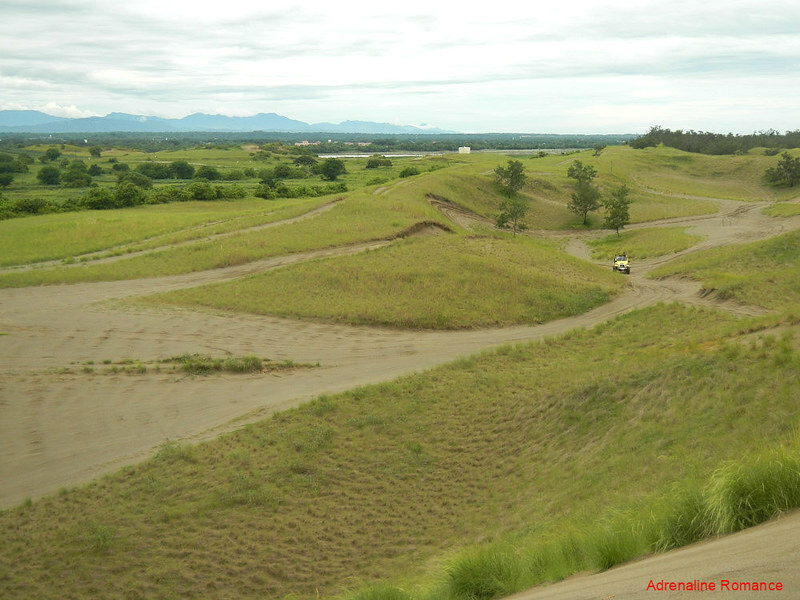 Actually, we were supposed to go for the Paoay sand dunes. 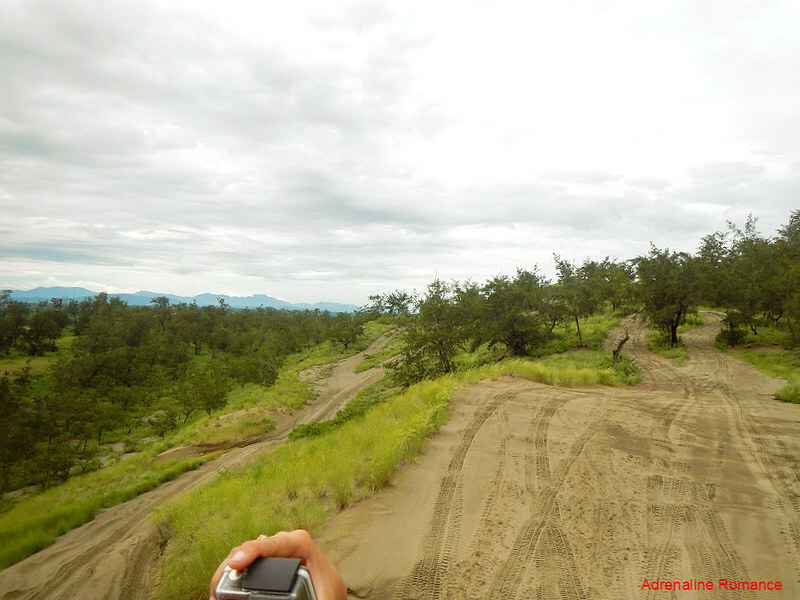 But when we got to Paoay, we learned that the permits for their 4X4s were not renewed. It’s a political thing that we don’t understand. Oh right! Sorry about that! Thought that those 2 were in the same area! 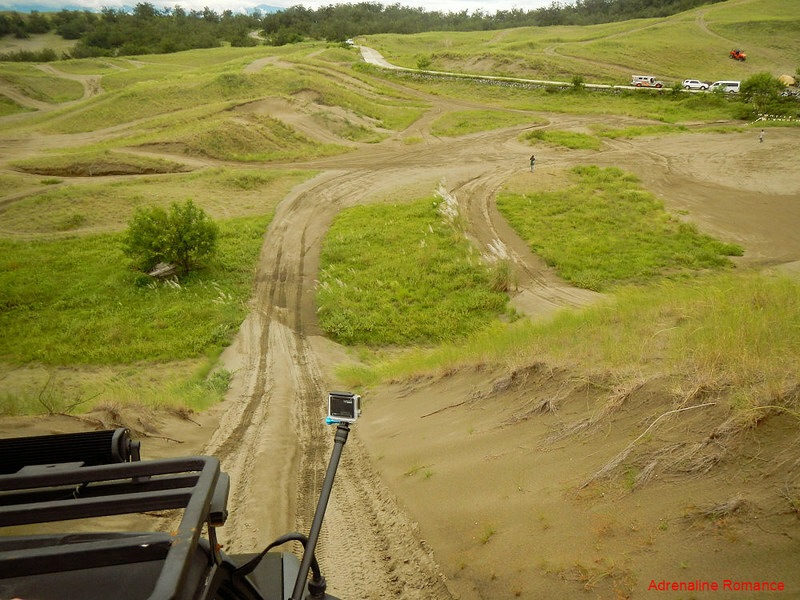 The 4×4 drive looks like such a great experience! I’ve never tried sandboarding either but I’ve heard that it’s tons of fun. Will have to try both of these activities out one day! The 4X4 ride indeed is exciting. We had to take a couple of lozenges and drink lots of hot tea to sooth our hoarse throats from all that screaming and laughing. I’ve been both sandboarding and 4×4’ing in dunes (at two different places) and it is so much fun. I would love to go to La Paz and do it all again. This looks so cool. I’ve never been sand duning before, but I have no idea where Laoag is though. I’ll Google it when I finish writing this because I’m curious. The church is beautiful as well, I love going to iconic churches when I travel, it gives you so much insight into the people and culture. So much fun with sand! I love riding ATVs. I’ve gone ATV-ing on the beach as well as in the mud of the jungle and I agree the rush is in the downward of a hill! Nice pictures and video of showing us the full experience! Gosh – what a fantastic place to visit! This looks like such an adventure- I love those 4wds too! We love off-road adventures. 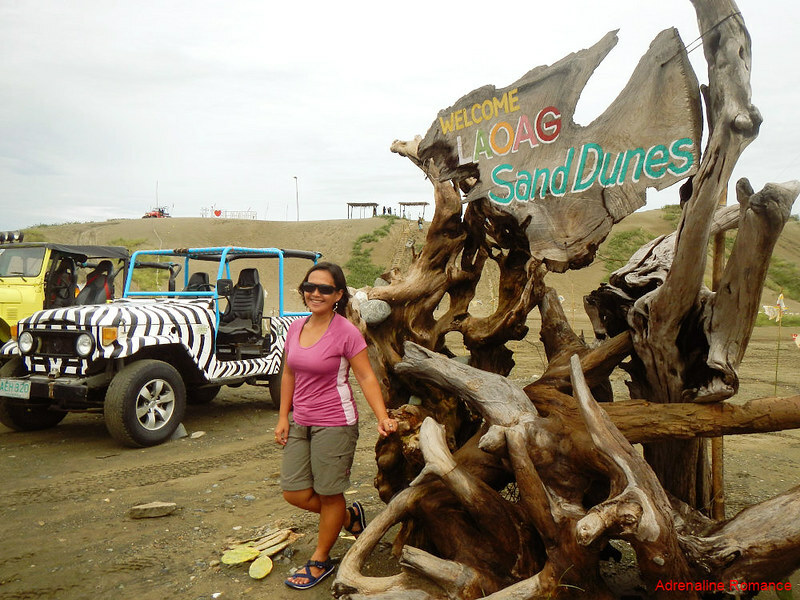 La Paz Sandunes are high on our list for our next visit to the Philippines. The rates seem reasonable for so many activities in one place. Yes, it’s quite reasonable although we felt the 1-hour 4X4 ride was a bit too short. You can compensate that with the unlimited sandboarding though. The Church looks beautiful! Sand dune rides sounds so adventurous and fun. I would love to try sandboarding. Recently had a great experience on the sands of the Thar Desert in Rajasthan. Oh, yes, Spanish churches are totally beautiful. We have a lot of them here in the Philippines, considering we have been a Spanish colony for 300 years. This looks like so much fun! Reminds me 4x4ing in the desert of UAE. We were in a closed vehicle tho, but at one point the driver took off with little warning and we hadn’t secured our seatbelts which left us both with near concussions from hitting our heads on the roof! When you say hold on, especially in an open 4×4 HOLD ON! Haha! That’s right! We were definitely holding on, especially that we were riding an open-top vehicle. 4X4s are so much fun indeed! The 4X4 ride looks so fun! You are lucky! We haven’t tried riding an ATV yet. We wanted to, but we were short of money. Huhuhu! Perhaps next time. Hi, I was just wondering. Did they ask for driver’s licsence? You mean did we ask for their driver’s license? No, not really. We simply entrusted our lives in their hands. Hehehe! I imagined the sandboarding place to be just pure sand. Never thought it was green with cogon and other vegetation. Or perhaps I had Paoay Sand Dunes in mind? Hahahhaa! Actually, we saw a lot of fairly well maintained jeepneys there. Of course, there were rusty ones as well. 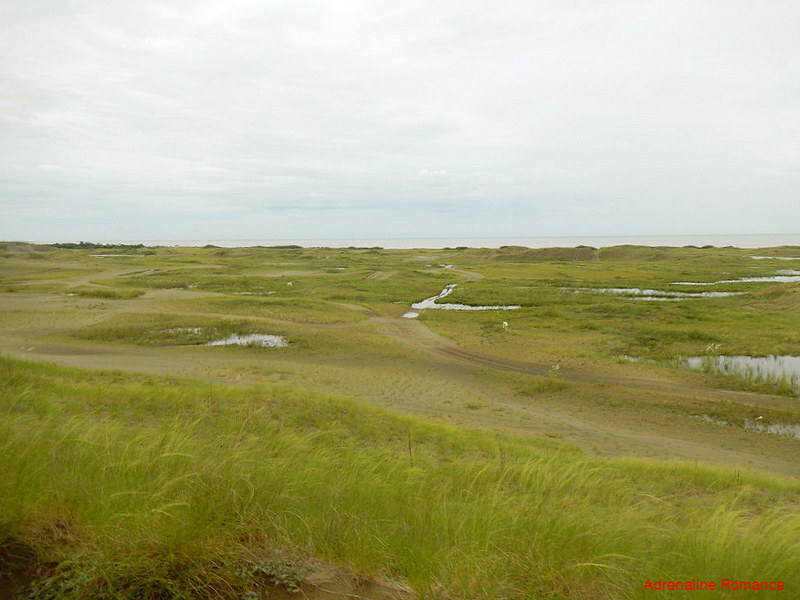 I think grass grows on both the La Pax and Paoay Sand Dunes during the wet months since they’re connected in one general area. I think they’re just like Chocolate Hills in Bohol where they’re covered with green grass during wet season. Can you drive the 4×4 alone ? Thank you very much; you are too kind.